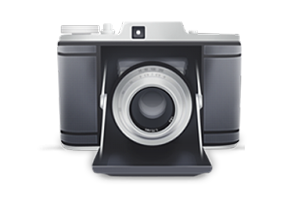 Capturing a solid image is crucial to any sales based industry. Showing your product is a requirement and the way you show that product speaks volumes about your company. With over a decade of professional industry experience, our photographs have been used nationwide for magazine photography, advertising photography, marketing collateral, billboards, and several major websites. Shoot us a message and we'll let you know how our eye for detail can help further your cause. The difference between a good photo and a great photo is usually the editing. We provide a wide span of editing services for our clients - including (but not limited to) retouching photos, correcting lighting & colors, polishing commercial photos, editing portraits, repairing / salvaging old photos, fixing real estate photos, changing background, removing shadows or glares, and basically any other image altering technique you can think of. If you have a project, shoot us a message and we can put our 20+ years of Photoshop experience to work for you. Capturing an aesthetically appealing architecture / scenery shot requires careful attention to things like layout and composition. Our dedicated location photography team specializes in capturing the images that accentuate features and covey a positive feel. Make your office look better then it ever has, get that one commercial real estate shot that sells the whole building... Let us know what you're looking to capture and we'll let you know how it can be done. Product photography is easy to overlook... until you start wondering why a specific product isn't selling. Hiring a top quality product photographer doesn’t need to cost you a fortune, but skipping that step just might. Let us get your product into the studio and show you exactly what we can do. This is one of those steps you'll only need to take once, but only if you do it properly. Our clients sometimes need images created out of thin air - and luckily, we make that sort of magic happen daily. Sometimes it requires sourcing stock imagery, but ultimately the result is our company providing clients with an image that portrays the message clients are looking for. We offer the best advanced photo creation and editing services you could need, release all rights (so clients can use them safely on future projects), and make the whole process is as transparent as possible. Image creation sounds like a complicated process, but it doesn't have to be. Compiling and batch converting images brings a mathematical approach to a commonplace issue. Besides being a fantastic example of how the "measure twice, cut once" philosophy is so effective, it also can be a huge time saver for clients. Generally - we set up a cloud server for our clients, have them specify the file name format, type, image size, file size, rights, compression, meta, etc. then apply a custom formula to flip those images right back out in no time. Whether it's a set of much beloved baby photos or a set of project photos for work, we can standardize those images to make sure they stay timeless. We work with a team of photographers who each specialize in certain realms... Product, Architectural, Scenic, Portrait. Between our talents, we can capture any image you'd need. And although we specialize in "Raleigh photo services", we're always happy to do a little traveling if the project calls for it. Take a look at a few of our previous shots and feel free to shoot us a message if you're curious what a specific project rate should run. Those interior shots were perfect. Conveyed the exact feel we were aiming for. We look forward to working with Haeck Design on all our future projects.